Is your guy super yummy like candy dots and fruity sweets? Check out this lip-smacking DIY bouquet and make your wedding day as delicious as your groom-to-be. Let out your fun, girly side and skip down the aisle carrying this floral candy ball made with Rice Flower. 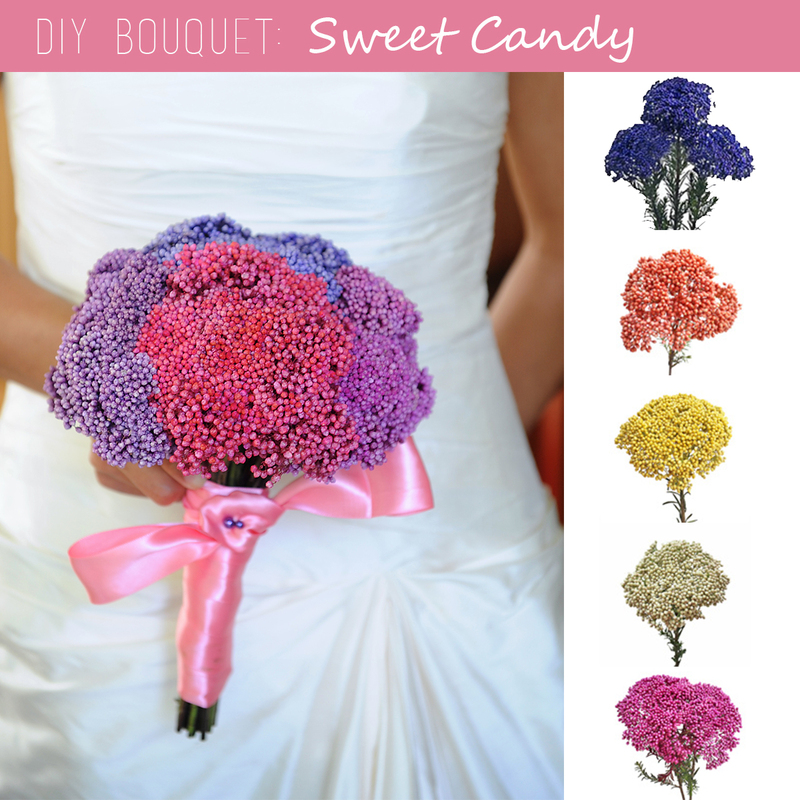 If you already have a pink or purple engagement ring you’ll be sure to remember this juicy bouquet whenever you look down at your hand and think of your wedding colors. Sweeten the day by adding even more candy-inspired detail such as lolly pop favors and pink toe nail polish for your bridesmaids. This bouquet was created by me (a regular DIY-er and surely not a professional florist!) using four different colors of Rice Flower. This large-headed bloom is made up of hundreds of tiny, blooms atop sprays of pine needles. Typically used as a filler, Rice flower often costs less per stem than focal flowers. White is the only natural color of Rice Flowers so remember when working with tinted product to keep white vinegar handy to wash your hands after handling.